Bite Club: Rock That Stock! Bite Club rule #2: Never pay for something from a store when you can make it for less at home with ease and a little prep. Like nearly every other student on the planet, I'm on a budget. I try to make money wise choices when I'm at the grocery store, so that I can make bad money (and health) choices after a night out. (3AM poutine, anyone?) I like to do little things to save money, like bringing my AM coffee fix in a travel mug from home, cutting up my own veggies instead of buying them pre-chopped and well... I keep a close eye on my stocks. The yummy kind, not the Wall Street variety. Stocks are awesome, because they're so versatile. They come in chicken, veggie, beef and even seafood varieties, and they go into just as many, if not more dishes. Stews, soups, chilis, rice pilaf, rice, risotto, cous cous-- any savoury application that water does, stock can do better. A box of it from the grocery store is a few bucks, and sure, that's not a lot up front, but it's more than making your own for (close to) free. Intrigued? Read on, friends. 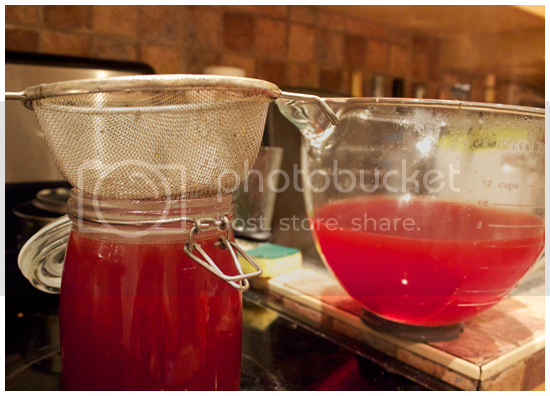 This method produces a different stock every time, which I like, because I live on the edge. Lately, because beets are in season, I've been using a lot of those, which seem to be lending my stocks this warm ruby hue. Gorgeous, dahling. Let's get to it. 1. 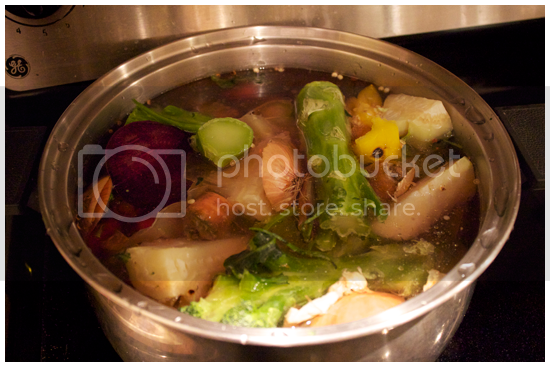 Take a large soup pot and pour the vegetables into it. Place it on a burner, turned to high. 3. 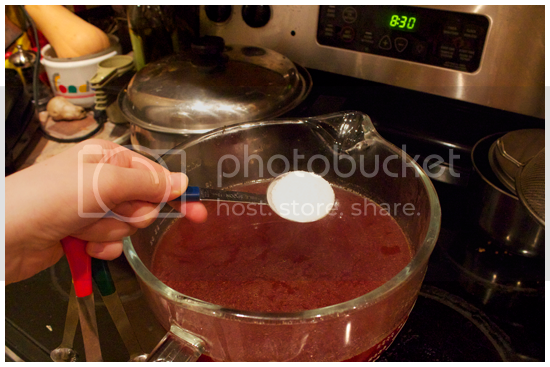 When the water begins to boil, remove the lid, reduce the heat to medium and simmer for 45 minutes - 1 hour. Don't stir it. Seriously, leave it alone. Go off and live your life. Sing in the shower, watch Friends reruns. Stalk your ex on Facebook while you stock your cooking repertoire with this recipe. 4. When time is up, turn the heat off. 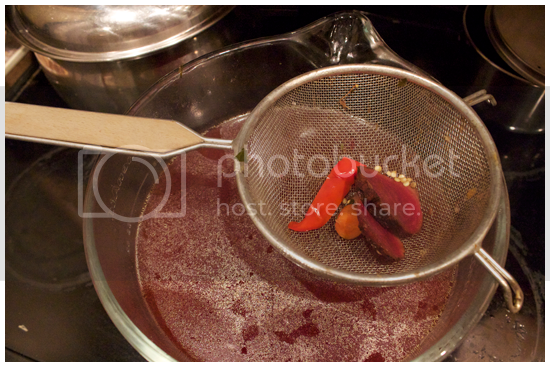 Strain the mixture once through a sieve, out of the stock pot, into the fi--err... something easier to pour with. I used the bowl of my stand mixer! 5. Add salt, to taste. I added about a tablespoon. This step is technically optional, as I know some cooks who salt the dish and not the stock, but in the name of seasoning the seasonings... To the salt! 6. 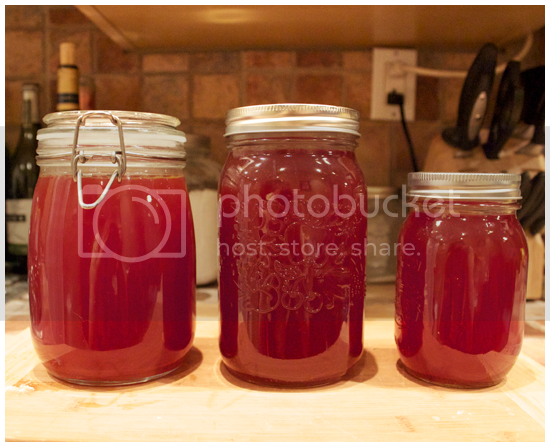 Strain a second time a second time into jars, and store in the fridge until you have need of it! See? Easypants. Voila! Stock will keep for about a week. Keep your eyes on the prize, I'll be posting a recipe for you to use your lovely vegetable stock as soon as I can! Happy Friday, kids!